There is a familiar feeling to things as the opening titles roll. Sweeping shots of London’s skylines. Check. Dramatic, mood setting music. Check. Shiny Rolls Royce, personalised plate and bearded businessman. Check, check and check. 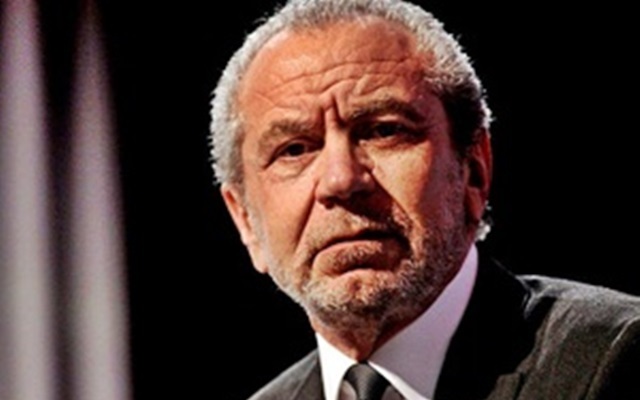 That man Lord Alan Sugar is back on our screen but this time the programme in question isn’t The Apprentice. While it contains the usual mix of egos, brashness and dodging the blame, this time Sugar is grilling characters from the world of football. The life-long Spurs fan’s brief was to investigate the current state of the Premier League – a competition where teams generate almost £2bn a year in income, yet struggle to balance the books. Currently 14 of the league’s 20 clubs are in the red with collective debt standing at £3.3bn. Last season Portsmouth became the first Premier League club to enter administration, leaving over 400 businesses out of pocket. More clubs seem sure to follow. Despite some obvious and rather lazy nods to The Apprentice, the show does a decent job of charting how such a staggering situation has developed. It all begins with the Sky TV deal back in 1992 which led to money flooding into the game. Today, leveraged buy-outs that load a club with debt are common and the amount of cash splashed out on transfer fees and player wages is eye-watering. Sugar quizzes a cast of big names in the game, from chairmen and managers to agents and the chief of the Premier League. The one issue that continually crops up is the players’ bulging pay packets. While the likes of Wigan chairman Dave Whelan, Spurs manager Harry Redknapp and agent Jerome Anderson queue up to condemn the sky-high sums, none seem willing to take any responsibility for the situation. Footballers will always argue that they are only worth what clubs are willing to pay, yet those in charge of the purse strings say they are helpless to stop the spiralling rewards. When West Ham Chief Executive and fellow Apprentice star Karen Brady reveals her club’s wage bill runs at 91 per cent of turnover, you can feel Sugar twitching in preparation of a trademark assault. However, the man known for his confrontational style seems to leave his bite in the boardroom and most of his interviewees are let off the hook too easily. Premier League chief executive Richard Scudamore is a prime candidate for a dressing down. He comes across as slippery and evasive, while sprinkling his answers with marketing speak. Seizing gleefully on Sugar’s rather reluctant description of the Premier League as a brand, Scudamore tries to justify player wages as improving the ‘product’. He describes the clubs’ huge debts as sustainable and the league’s suitability test for prospective new owners a success. You half expect him to end with a claim that the moon is made of cheese. Lord Sugar Tackles Football raises many good points throughout, although keen followers of the game may not learn much they do not already know. Sugar ends by suggesting solutions to what he sees as the five main problems facing the game, including ending the controversial football creditors rule that sees debtors within the game paid in full if clubs enters administration at the expense of other often smaller local businesses. Most of his ideas are sensible but need developing through debate and trials. It will be interesting to see if Sugar turns the experience into a Jamie Oliver-style crusade, or whether the notoriously hard to change game remains a challenge too far. Ultimately the Premier League bosses are left with the choice taking the advice of one of the country’s most respected businessman or continuing to stick their heads in the sand. If Scudamore’s performance in the show is anything to go by, it could some time before the game even recognises a need for change, let alone does anything about it.